The Ministry of Defence is to admit breaching the human rights of an Iraqi man who died in British custody in Basra, the defence secretary has said. Des Browne said the MoD would also admit breaching the rights of eight other Iraqi men at a High Court hearing due to take place on Friday. This will pave the way for compensation claims by Baha Mousa's family and the others that may run to six-figure sums. The 26-year-old hotel receptionist was beaten to death in September 2003. In a written statement, Mr Browne said the government would admit "substantive breaches" of parts of the European Convention on Human Rights which protect the right to life and prohibit torture. The lawyer representing his family, Sapna Malik, said they felt "at last there had been some acknowledgement at a senior level of the wrongs that were done". "They felt that this was in some way a victory for what they had been campaigning for in terms of justice." Armed forces minister Bob Ainsworth said "acts of abuse" had been carried out by a "very small minority" of British troops. He said he deeply regretted their actions and offered his apologies to Mr Mousa's family and the other Iraqi detainees. "All but a handful of the over 120,000 British troops who have served in Iraq have conducted themselves to the highest standards of behaviour, displaying integrity and selfless commitment," Mr Ainsworth said. He said the Army had done a great deal since then to improve procedures and training and continued to demand the very highest standards of conduct from all troops. 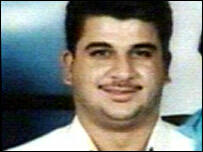 Mr Mousa and the other Iraqi men were arrested at a hotel where weapons and suspected bomb-making equipment were found in 2003. Mr Mousa was detained under suspicion of being an insurgent. Seven members of the Queen's Lancashire Regiment (QLR), now the Duke of Lancaster's Regiment, faced the most expensive court martial in British history over the case. Six soldiers were acquitted after the six-month hearing in Bulford, Wiltshire, but a seventh soldier admitted treating Iraqis inhumanely. Cpl Donald Payne was jailed for a year and dismissed from the Army. Much of the trial rested on whether headquarters staff at 19 Mechanised Brigade sanctioned the use of what British troops called "conditioning", intended to make suspects more likely to answer questions. This process involved the hooding, handcuffing and placing terrorist suspects into stress positions and depriving them of sleep.